I’ve had my eye out for the perfect shade of pale blue polish for a while now. Something that wasn’t too aqua or mint (got those!) and not a juvenile baby blue. 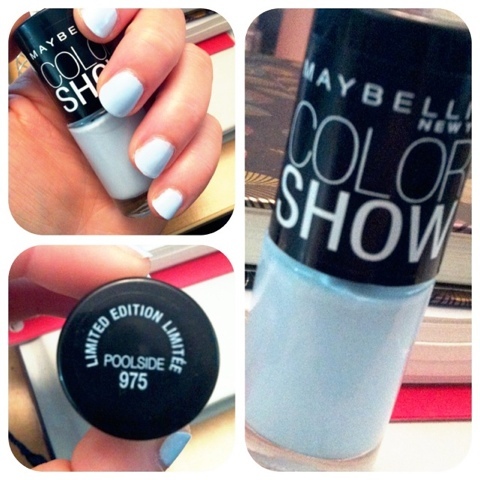 When I stumbled across the new limited edition Maybelline Color Show in Poolside, I new I had to have it! 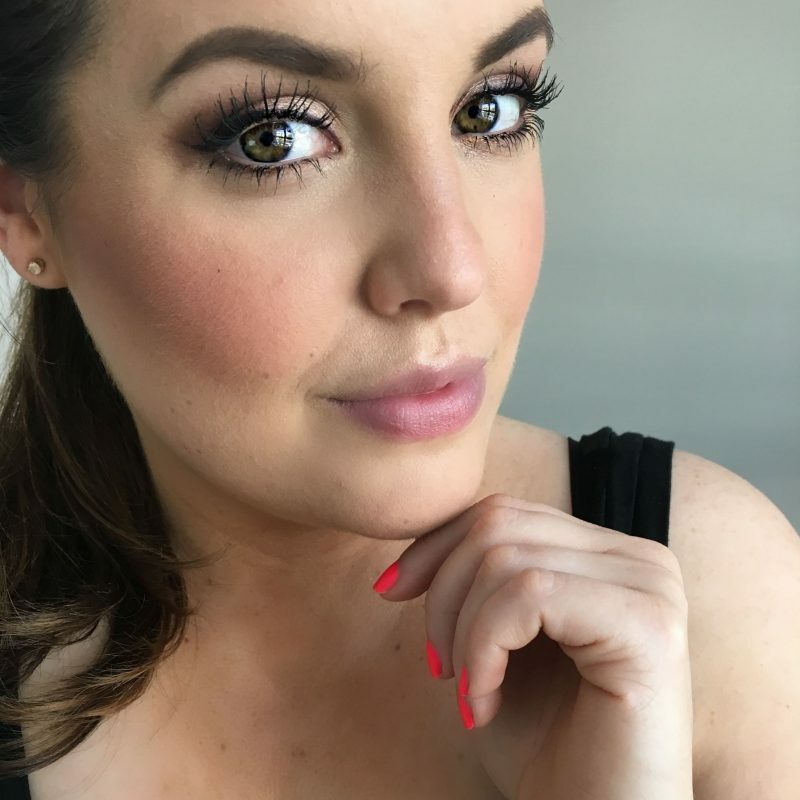 I wont pump this enamel up for being amazing in staying power, or the best formula I’ve used, but it was the exact colour I was looking for, and has already garnered a few random compliments! It took 2 coats, with a 3rd here and there but over all wasn’t streaky like most pale polishes can go on, which I think is great for a nail polish that was under $4. Not to mention it makes the slight excuse for a tan I have pop just a bit more. Mission accomplished! What’s on your nails this week? Have you tried the Maybelline Color Show polishes?